Chandigarh Cabs are available at Chandigarh airport 365 days / 24 hours. Cab booking procedure is very easy & simple as 1-2-3. The cab will reach on your location. We provide taxi service from Chandigarh / Mohali Airport to Shimla, Kullu Manali, Ludhiana, Jalandhar, Amritsar, New Delhi, Ambala, Patiala, Dehradun and in any location. We have a large number of fleets available from Swift Dzire, Toyota Etios, Innova, Tempo Traveller too. If you wish to book our cab service for outstation from Chandigarh Airport. You can call us on +91 9988005056 , anytime. We are available to get booking 24 hours. All cabs have air conditioned, verified & well-uniformed drivers etc. That’s all for cab booking at Chandigarh or Mohali Airport. 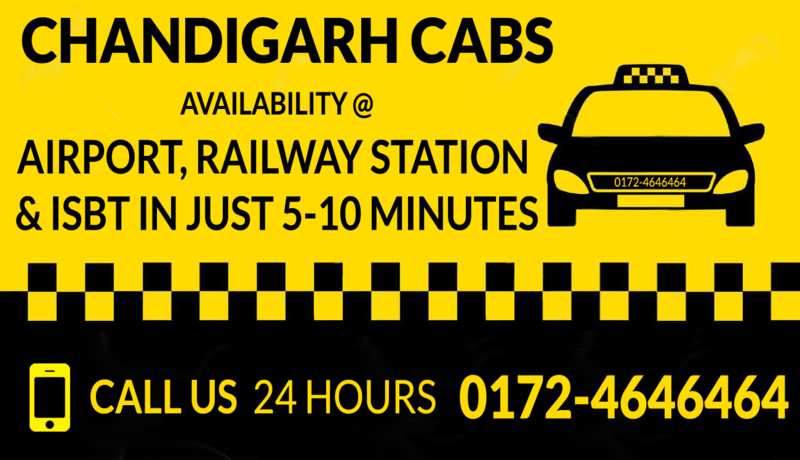 We are the one of the cab company which has approved to run cab services in Tricity by Chandigarh. Chandigarh / Mohali Airport Cab Service for Local and Outstation. Superb taxi service at Chandigarh Airport.